Dr. Kanwarpal Kahlon graduated from the University of Illinois College of Medicine and completed his residency program at the Scripps Mercy Hospital. Then, he did a fellowship at the Yale-New Haven Hospital. Dr. Kahlon is specialized in Hematology and board certified in Internal Medicine, Hematology, and Medical Oncology. 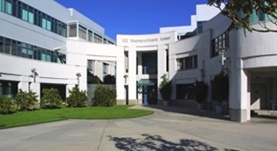 He has been in practice for more than 6 years and is affiliated with the University of California - Irvine Medical Center. During his career, he has run one clinical trial and has also contributed to a publication of clinical interest. Dr. Kanwarpal Kahlon has contributed to 1 publications. Specific recognition and killing of glioblastoma multiforme by interleukin 13-zetakine redirected cytolytic T cells. Kahlon, K.S., Brown, C., Cooper, L.N., Raubitschek, A., Forman, S.J., Jensen, M.C. ; Cancer Res. 2004 Dec 15.